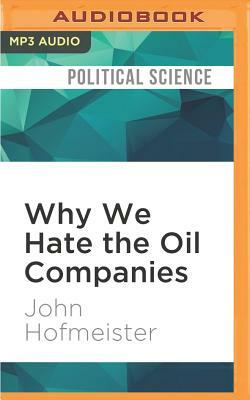 As president of Shell Oil, John Hofmeister was known for being a straight shooter, willing to challenge his peers throughout the industry. Now, he's a man on a mission, the founder of Citizens for Affordable Energy, crisscrossing the country in a grassroots campaign to change the way we look at energy in this country. While pundits proffer false new promises of green energy independence, or flatly deny the existence of a problem, Hofmeister offers an insiders view of what's behind the energy companies posturing, and how politicians use energy misinformation, disinformation, and lack of information to get and stay elected. He tackles the energy controversy head-on, without regard for political correctness. He also provides a new framework for solving difficult problems, identifying solutions that will lead to a future of comfortable lifestyles, affordable and clean energy, environmental protection, and sustained economic competitiveness.